Home » Having Fun » First time surfing ever! 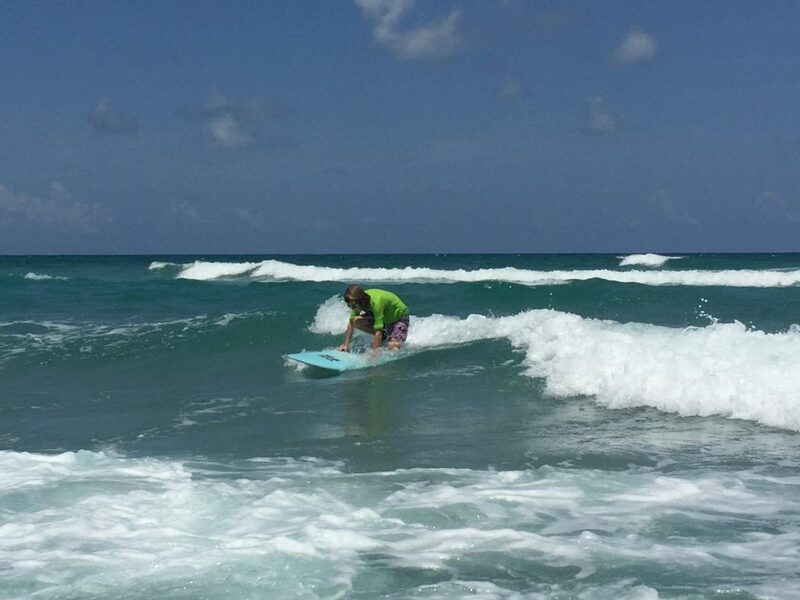 We went to John D. MacArthur Beach State Park on Singer Island in Palm Beach to try surfing. People can go surfing, kayaking, swimming, paddle boarding and fishing here. We parked and had a long walk to the beach. We walked along a path, crossed a long bridge and walked over the sand dunes. It was a tiring walk while carrying our new surfboards. When we finally got to the beach we waxed the boards before we put them in the water. We got both boards as gifts from our friends. It was very windy. This caused the water to be rough and some of it was not fun. The water was not cold and a good surfing temperature. My dad and mom were helping my brother and I to catch waves. My first impression of surfing is that it’s cool. The first time I caught a wave I stood up. It felt like I had butterflies in my stomach. I stood up about 3 times. 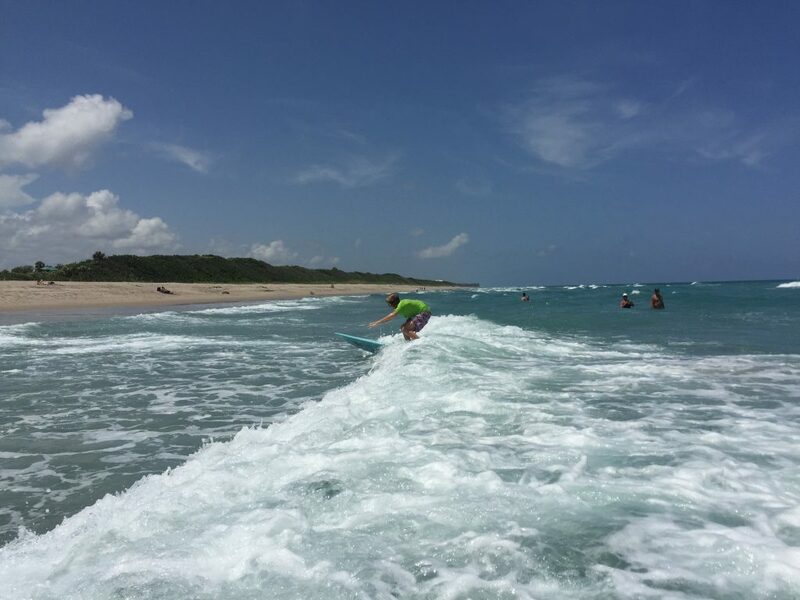 My brother also tried surfing. He didn’t stand up but he caught some waves on the board and rode in on his chest. I had a lot of fun, but it was hard to paddle out. So, we all decided to go on a calmer day next time.